Christmas shopping can really highlight the success of marketing campaigns and leading brands in the market. A quick look through shops can really tell you how successful a company’s marketing campaign has been and comparethemarket.com has not failed to deliver. The face of the campaign, Aleksandr Orlov is now a cuddly toy and the plucky meerkat even has his own autobiography “A Simples Life, My Life and Times” chronicling the struggles of his family in their quest to compare meerkats not (he would remind us) to ‘find cheap deals on car insurance’. The mini-film TV adverts have consumers interested in the unfolding story and the latest advert “Streets of Ambitousness” shows the family’s lowly roots comparing muskrats to finally owning their own meerkat comparison shop. The adverts focus on Aleksandr’s attempts to direct people looking for cheap car insurance to comparethemarket.com and for those wishing to compare meerkats to go to comparethemeerkat.com. A site which really exists. The site comparethemeerkat.com allows users to actually compare meerkats, read Alexsandr’s blog and news stories, download music, bloopers, films, wallpapers, voicemail speeches and ringtones. It also directs people back to comparethemarket.com creating a strong link with the brand. But why has the campaign been so successful? The play on words (market/meerkat) left many people feeling that the campaign would be a short-lived novelty. However, the brand has continued to thrive being listed as one of the top 30 brands on Twitter by brand content agency Sutro. The ‘Aleksandr_Orlow’ Twitter page has 36,242 followers and is constantly updated. Their Facebook page: ‘Aleksandr Orlow – Founder of Compare the Meerkat’ has 768,698 people liking it and contributing to the page daily. 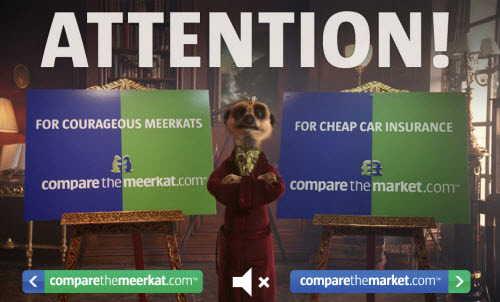 The meerkat brand seems to exist by itself with Aleksandr faithfully advertising the meerkat comparison site on all mediums, while cementing the link with comparethemarket.com in the minds of consumers. Success lies in the fact that Aleksandr is such an identifiable character in a market that has become saturated. Other market leaders such as Go Compare have followed this trend dropping previous strategies to feature campaigns using an opera singing “Gio Compario” to create a similar association with consumers. 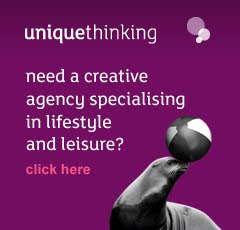 While critics remind us that all this publicity and merchandising may not directly link to an increase in sales, a meerkat inevitably leaves some of us wondering about car insurance.